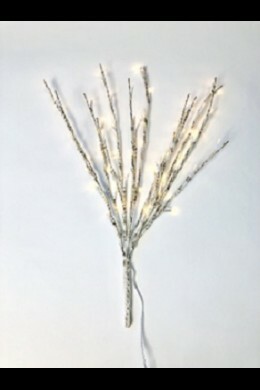 Electric birch branch, single stem, 20" tall, with transformer and 15’ cord for ease of display. 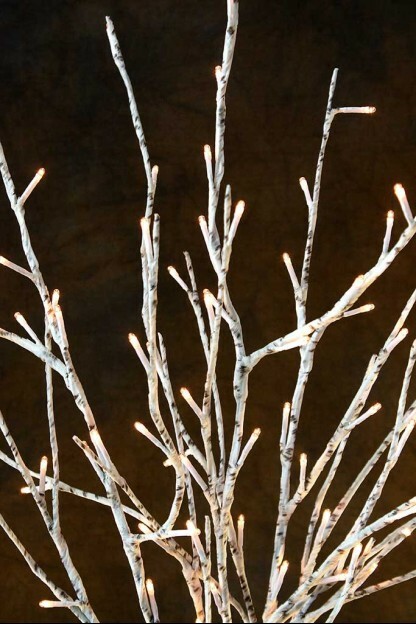 The flexible branches are delicately coated in a birch floral tape to create this unique illuminated branch. To easily convert this item from electric to battery operated, purchase our convenient converter: Item 184001.